At Wolf Concrete, our mission is to make your residential, commercial and/or Industrial construction projects become reality. Whether you’re a homeowner seeking a new driveway, sidewalk, garage pad, patio, or a similar construction project our experienced, knowledgeable and professional team at Wolf Concrete will ensure we work with you from project beginning to completion. Is your driveway or garage pad cracked and in need of a major facelift? Do you want a unique and beautiful look to your new sidewalks to complement your home? Or are you worried your foundation is cracking under the pressure? Wolf Concrete offers a variety of professionally done residential and commercial concrete services to Edmonton and surrounding area. We adhere to the highest of the industry’s safety and building standards. With competitive pricing, we’ll work with you to ensure the project you want is done to your specifications, timeline and overall scope. Creating beautiful and unique sidewalks, patios, garage pads and driveways is what we do. Our highly talented team of concrete finishers and form setters will ensure an exceptional finished product. Put your building on the right foundation or complete your place of business with an artistic exterior concrete that is durable and visually appealing. Wolf Concrete constructs steel reinforced structural concrete floors, hollow core slabs and suspended concrete floors ensuring your residential or commercial construction project has a strong and long lasting starting point from the ground floor and up. At a competitive price and quality built to last, Wolf Concrete promises a concrete grade beams and foundation walls you can be confident to set your new home or garage on. We can also repiare old or damaged foundations. Wolf Concrete will work with you to ensure all the necessary measurements and parameters are met for the retaining wall to meet municipal and building standards – all at a competitive price and respectable timeline. At Wolf Concrete we understand how important quality is. Quality relates to every aspect of our business and we ensure that translates to each and every project we do. 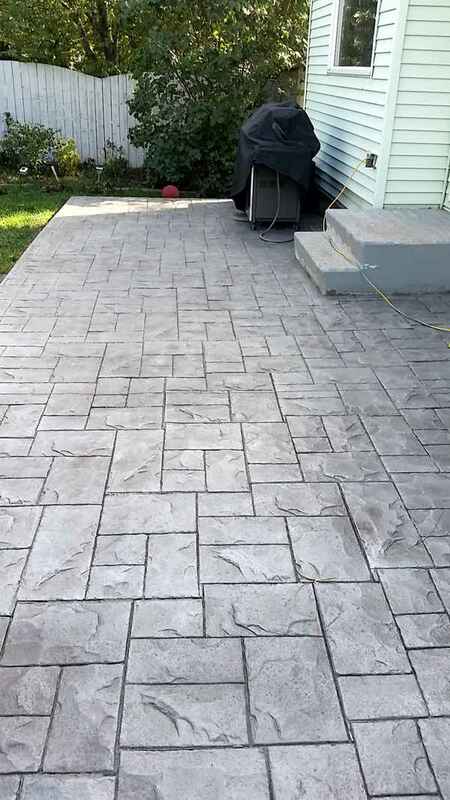 Whether it’s completing a driveway, patio, sidewalk or a repair, we guarantee top-notch quality. Our years of experience have allowed us to fine tune our craft to ensure every concrete and construction service we offer the best quality within the industry. You will know exactly what our service will cost, how long it will take and what to expect during construction. There will never be any surprise or added costs without discussions taking place between a Wolf Concrete member and the customer. We strive to be transparent when it comes to pricing for our services. We’ll also do our absolute best to answer any pricing questions related to your project. We work with our customers from beginning to project end to ensure the total cost is amicable. We let our work speak for itself. We believe our strong professional and quality work ethic at Wolf Concrete is one of the industry’s bests and we’d love to show you why. We’d love to be a part of your dream construction project. Email or give us a call today to talk to one of our concrete and construction experts today. We warranty all the work that we do. It’s one of our guarantees. Excellent service and always easy to communicate with. Cody looked after our concerns and explainedwhat he was doing in depth to help us understand. We highly recommend him.